If you haven't seen the www.pma-show.com site with its daily PMA report, we strongly recommend that you visit it. These boys and gals are walking the long floors and winding corridors of the largest North American photo and imaging event to do the coverage for you. We had a very long day at PMA today, but here are some images you might enjoy. We were able to use the new 105mm macro for some test shots. I think this lens is quite nice. Also some shots from the Nikonians booth, where Mr. Rich Butkus was our winner of a Markins M-10 Ballhead! Coming soon to www.photoproshop.com-- NEW T-Shirts! Member Alan Nusso posted a candid shot of the Nikonians team manning the booth at PMA, including co-founder JRP and Marketing Director Jason Odell. Be sure to swing by the booth to register as a member, get a chance to win Markins tripod head and meet some of the Team! Day 1 is nearly over at PMA; and there have been a flurry of unveilings on the hot category - Digital SLRs. It seems an appropriate time for a quick summary. Canon EOS 30D - no surprise here, the successor to the 20D was announced before the conference began. While it's still drawing crowds, Canon owners are salivating over the accompanying announcements of a 17-55mm f2.8 EFS lens with Image Stabilization and the 2nd generation of the superfast 85mm f1.2 L prime. Olympus E330 - again, not a surprise, with the curtain rising on the E300's successor a few weeks before the show. However, this is the first DSLR to offer full-time color Live Preview thanks to it's dual CCD design that allows a second sensor to provide a picture without being blocked by the mirror and shutter. Pentax *istDL2 - Pentax continues it's successful line of entry level bodies with the latest DL model. Featuring slight improvements on Picture Modes and the AF system, this camera is only available in Asia and Canada. It's also a dead-ringer for the Samsung GX-1S. Pentax Unnamed 10MP DSLR - we reported on this during Sunday's coverage, but it's worth noting here again. Also, a 21mm f3.2 AL digital only prime was also announced, as well as the much-awaited 645 format DSLR with a new Kodak 18MP sensor. Samsung G1X-1S and GX-1L - the first fruits of the Samsung/Pentax alliance, the cameras appear to be rebadged Pentax *ist series cameras, but are marketed with Schneider-brand lenses. 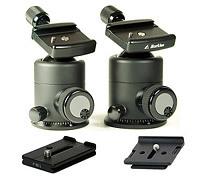 Of course, they have complete compatibility with KAF mounts. Expect to see more from this brand as the two companies begin to work on a new DSLR from the ground-up. Panasonic Lumix LC-1 - here we see another tie-up between major makers, this time with Olympus providing a lot of the camera know-how. The buzz around the LC-1 is three-fold; first, it's an Olympus Four-Thirds based system that will enjoy compatibility with an increasing number of lens manufacturers; secondly the body is an E330 derivative, but with different ergonomics and third; it's able to take advantage of Panasonic's Mega OIS image stabilization system. The companion announcement of a Leica Vario-Elmarit 14-50mm/2.8-3.5 with OIS built-in is the icing on the cake. Given Panasonic's background with the previous Leica digital compact cameras, it's entirely possible we could be looking at the basic chassis for the rumored Leica digital rangefinder. Other sundry announcements: Sigma has finally come onboard with the Four-Thirds lens system by updating five of it's current inventory to the new standard: Olympus E owners can now take advantage of the 105mm/2.8 DG Macro, the 150mm/2.8 DG Macro, the 50-500/4-6.3 DG EX HSM super telephoto, and the 30mm/1.4 DC HSM and 18-50/2.8 DC EX HSM. It's been a blitz of updates and new product announcements in Orlando, so here's a quick roundup of the latest in software and program developments. OnOneSoftware has bundled both Genuine Fractals 4.1 and Nik Sharpener 2.0 for a significant savings - up to 44% if purchased separately. In a release timed for the show, word from the UK indicates that a Mac OSX 10 version of Adobe Photoshop Elements 4.0 will be available in early March. Adobe has teamed up with Iron Mountain to securely and transparently back up digital photo files from within Photoshop Elements, Bridge and Album. As long as the PC is connected to the Internet, Iron Mountain's DataProtector agent will send changed or designated files to IM's datacenters for storage and archival. A secure retrieval method is also available. This sounds like a great solution! Lexar continues to make inroads with it's ActiveMemory system - new integration points include auto-processing of photos while they're being downloaded into Corel's PSP 9, and Lexar's SmartDownload will plug into Adobe CS2 Bridge for simultaneous card downloads from multiple readers and merging of IPTC data. Pixmantec announces RawShooters Essentials 2006 as a full-featured and - characterized as "free forever" - download. In addition, current owners of the Premium version can update to Premium 2006 v1.02 and Color Engine 1.1 for no charge. And finally, DxO Optics has announced that their Pro Starter Edition, or the so-called ZLR edition for fixed-lens electronic viewfinder (EVF) digicams, is now available for sale via their electronic storefront. Cameras in this category include models such as the Nikon Coolpix 8800, Sony DSC-H1 and Canon PowerShot Pro S2 IS. PMA 2006 - Lexar has boosted their 8GB Type I CF card to 90x speed - a sizzling 13.5MB/sec rate. The card comes bundled with Image Rescue 2.0, PSP 9.0 and a trial version of Photo Mechanic. Availability is set for April of this year. Here is our preliminary report from PMA on day one, Feb. 26, 2006. We had a chance to hang out for a bit in the Nikon booth, and saw some new products from major manufacturers. We also (of course) had a smashing time at the Nikonians Booth. We plan to do our podcast tomorrow-- we'll be "live" from Nikon's booth at PMA. We saw a brief demo of the new Capture NX and View Pro software. I think Nikonians are going to find that this software is worth the price of upgrading. One of the coolest things in Capture NX is the ability to apply selective image adjustments to the NEF without damaging the original image file in any way. For example, you could choose to do some Unsharp Masking to just a small part of the image, leaving the rest untouched. Or maybe adjust the hue and saturation of the background. All the while, the changes are saved as tags in your NEF file-- you can recover the original version at any time. This should vastly speed up workflow using Capture. Rick and I had a chance to play with both the 18-200mm VR and the brand-new 105mm VR macro. All we can say is "wow". The 18-200 is very smooth, and the VR is as advertised. The new 105mm macro was INCREDIBLE. AF that was super-fast-- it was as close to instantaneous as it could be. Great build, and easy to hold. We hope to have more on this tomorrow. 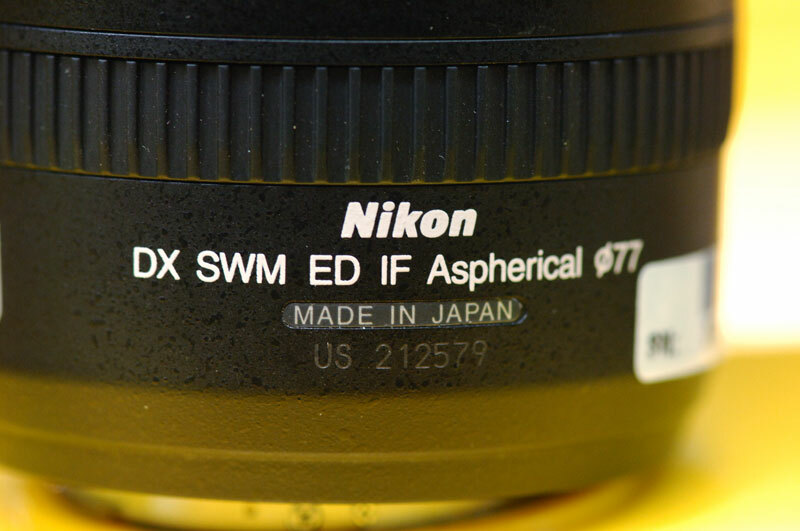 With a suggested price of $799 in the USA, this lens will be a must for serious macro shooters. Of course, we also played around with the numerous "big guns" set up for people to play with on the booth, including the 400 f/2.8, 500 f/4 and 600 f/4. Sweet. We saw some of the new Tamron lenses, but were unable to try them. We hope to do that later in the week. We can report that the Tamron 17-50mm Di II (designed for APS-C sensors only) should retail for under $500 USD. At the Nikonians booth, we have two computers set up-- a 20" iMac and a PowerMac G5 with a 30" LCD Cinema display, courtesy of Apple Computer. They look GREAT! You should see it when we have three full-size windows open on the sections of Nikonians all on the same screen with no overlap! Bo and JRP were both on hand to answer questions about the community. We had the pleasure of meeting none other than Mr. Brad Berger, president of Berger Bros. Camera, who was in town for just two days. He is as nice in person as he is on the phone. Thanks, Brad, for stopping by! Nikonians was proud to give away a Markins M-10 ballhead to a lucky winner today. We will do more raffles tomorrow. Thanks to all our hard-working volunteers who came out to help us today. We hope to see more Nikonians during the next few days. Tomorrow, we'll have reports on the new software from Bibble Labs, new products from Lowepro, and more! Also look for a short podcast live from the show. 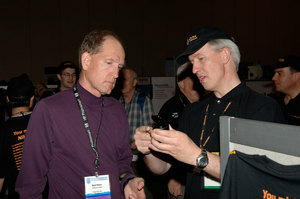 Nikon user Barry Schein from the USA won a Markins M10 ball head at Nikonians booth today at the PMA. At PMA 2006 in Orlando, DIMA announced the winners of this year's Printer Shootout. Notably, Epson ran away with three awards in the 8.5 to 17 inch inkjet space, HiTi in the heavily contested 4x6 dye-sub category and Ilford for 8.5x11 media. Of course, the big wow factor is the prototype 645 Format camera first announced in early 2005. Equipped with an 18MP Kodak KAF18000CE sensor, the body will enjoy all the advantages of it's predecessor, the 645N. Pricing is yet to be determined. Continuing our coverage from PMA, Sandisk has announced the latest addition to their memory card lineup: an 8GB Extreme III CompactFlash rated at 20MB/sec and a new 2GB Secure Digital Card in the Ultra II range that writes at 9MB/sec and features a built-in USB2.0 connector that eliminates the need for a card reader. We are at booth #1759 at the PMA, Orlando Florida today February 26th to March 1st. Visit us and learn more about our community, see Markins ball heads in action and more. Sigma announced at PMA a new 70-200 DG HSM with Macro capability. Photos of the new lens were not available at press time, but the lens appears to be close in dimension and weight to the current non-Macro DG lens. The only difference is the addition of new style tripod mount/grip similar to the one found on the Sigma 50-500 DG HSM. The new lens has a minumum focusing distance of 39.4 inches and a maximum reproduction ratio of 1:3.5. Availability is yet to be announced. Our first news from PMA in Orlando - Bibble Labs has announced the immediate availability of Bibble Pro 4.6 which features an integrated version of the popular Noise Ninja reduction tool from Picture Code LLC and native compatibility for the newest Intel-based Macintosh personal computers. The announcement of the new versions of Nikon View Pro and Capture NX have been raising quite a few questions. On a Nikon-related mailing list, a senior figure in the Software Applications group allayed some of the concerns in a recent post. Michael Rubin's comments (valid only for the US market) indicate that Nikon will have two upgrade paths for current Capture owners. Only Capture 4.x versions will be considered. Pricing is still to be determined. While reserved on comments regarding speed, he indicated that many operations can now be done within a browser view similar to the Multi-Image window without significant performance impact. JPG, TIFF and other files (even taken with non-Nikon equipment) can be converted into true RAW/NEF and enjoy all the features therein. Tutorials are currently being prepared, but it would appear at this time that Nikonians will be very pleased with the results of the Nik Software alliance. 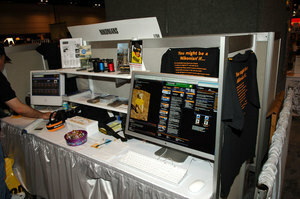 Members attending PMA in Orlando can see this detailed demonstration of the new software at the Nikon booth. 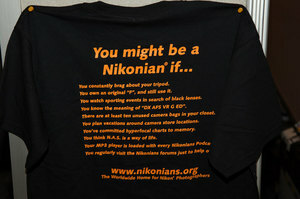 And don't forget to visit the Nikonians booth #1759. Listen to the Feb 23rd episode of "The Image Doctors", brought to you by Nikonians Digital Workshops. Download The Image Doctors for Feb 23, 2006: NPC-ID-2006-02-23.mp3 (52:19, 18.4 MB, mp3 format). Nikonians Booth #1759 at the PMA Trade Show: Orlando, Florida Feb 26-March 1. Getting started in digital photography: how to choose a DSLR and start taking better photos. Editors' Note: Due to our travel to PMA, "The Image Doctors" will return to its normal biweekly schedule on March 16, 2006. Look for a special podcast live from PMA next week! Member Bob Johnson updates his latest Photo Tip of the Week with an article on changing focusing screens in your Nikon camera. In a surprising move, Konica-Minolta has sprung back from an early grave with a joint announcement, along with partners Fujifilm and Kodak, that attempts to push a new industry standard called EVERPLAY. Based on a previous specification called PASS (Picture Archiving and Sharing Standard), the standard will create an interchangable overlay onto digital photos that builds both index file and album file information into the photos via XML. Like many other industry specification projects, it remains to be seen how well EVERPLAY will be received. Nikon's collaboration with Nik Software has borne first fruits in the form of the new View Pro and Capture NX programs. Nikon View was originally planned to be sunset in favor of PictureProject. Thankfully, Nikon appears to have rethought this strategy and has given the Pro version long-sought functionality, including improved (hopefully meaning faster) caching and display capabilities for both NEF and JPEG files, a redesigned browser and viewer, IPTC editing, and a new Actions capability that can queue specific operations to be completed on multiple files. Nikon Capture NX appears to be a total departure from the Capture 4.x codebase. The GUI has been entirely redesigned, and there's a lot of hubbub about the new Control Points function that emulates layering and masking capabilities found in other editors. The RAW editing ability has been expanded with more choices in selection tools, gradient/fill controls and color management options. Improvements to batch abilities, including applying changes directly from the thumbnails view are also welcome additions. Nikon has announced a bevy of no less than seven new Coolpix models. All of the cameras feature the latest consumer technologies that have made the series very popular; such as In-Camera Redeye Reduction, Face-Priority AF, D-Lighting, Blur Warning and Best Shot Selector (BSS). Leading the new rollout are the L2 (6MP), L3(5.1MP) and L4(4MP) models. Featuring a very slim profile (less than 1 inch thick) and a large 2" rear LCD display, the cameras are optimized for portability and convenience. They're powered by AA-size batteries and take Secure Digital (SD) media cards. The S5 and S6 take convenience, function and style to the next level. Both cameras can use the new PictMotion software to allow photographers to pick their favorite photos and either the built-in or personal music files and generate a multimedia slide show that can be played back on the rear LCD. The S5 has a 2.5 inch LCD and the S6 has a massive 3 inch LCD. Both cameras have 6MP sensors and a 3x Nikkor lens with ED elements, and a One-Touch Portrait button that gives instant access to Face-Priority AF and Redeye-Reduction. The S6 also has wireless transfer capability. Last, but certainly not least - the P series gets a boost with the P4 and the P5. Featuring 8.1 MP, a large 2.5 inch LCD and VR with both Active and Passive modes, Aperture Priority shooting (1/3EV increments) a new wide-area 11-zone AF system and a 1.8 fps framing rate, these models promise to deliver a cutting-edge experience to compact digital owners. It seems the rumors of an upgraded Macro lens with VR and AFS are true - Nikon has just announced the upgraded 105mm/f2.8 ED-IF AF-S VR Micro-Nikkor; featuring the Nano Crystal Coat debuted on the 300mm/f2.8 VR AFS and the 2nd generation VR module that promises up to four stops of handholding. The lens has a close focusing distance of 12.2 inches (31 cm) throughout the focal range and a maximum 1:1 reproduction ratio. Bibble has been busy making strategic collaborations with some key industry players. First up is Kodak - the firms are swapping notable technology components; Kodak will give Bibble it's color management module and ICC input API, and will receive in return Bibble's RAW conversion engine. Next up, Bibble has struck a deal with Picturecode for future releases of the RAW converter/editor to feature fully integrated versions of the Noise Ninja NR plug-in. Good news for our members using Konica-Minolta scanners: Ed Hamrick, author of the famous and very practical Vuescan scanning software, has declared support for KM scanners after March 31st, 2006. That is the date that KM will cease support for their scanning programs. The list prices for Zeiss' latest ZF mount lenses for Nikon were revealed today in an article on the PEN News Weekly, as reported by Newsline International. Per sources at Cosina, The ZF 50mm/1.4 Planar T* will list at USD490 and the ZF 85mm/1.4 Planar T* clocks in at USD970. Tamron's been busy in the kitchen cooking up new lenses. The company has rolled out a brand-new 17-50/f2.8 just in time for PMA 2006 at the end of the month. This is a DSLR-only lens for APS-C sized sensors. They've also announced Di updates to the 28-200/f3.8-5.6 XR Macro superzoom and the long-running 70-300/f4-5.6 LD Macro. The nonprofit Images For Conservation Fund (ICF) has announced its inaugural Pro-Tour of Nature Photography coming up the entire month of April. Twenty Texas Hill Country ranchers will be teamed with 20 top nature photographers from across North America to compete for a share of up to $200,000 in prize money. For information or to register for events, visit www.imagesforconservation.org, or call Sam Mason or John Martin at (956) 381-1264. The Images for Conservation Fund is a Texas-based, nonprofit organization dedicated to the creation of a sustainable, self-funded wildlife conservation industry based upon nature photography tourism. ICF hopes to establish exciting nature photography leasing destinations while simultaneously generating significant income for the private landowners who lease them. To raise public awareness of these opportunities for both landowners and photographers, ICF has created the Pro-Tour of Nature Photography and a number of supporting events. The symposium will feature two programs open to the public. One is for photographers wishing to learn about wildlife photography techniques and the existing opportunity to photograph wildlife on premier private ranches in the Texas Hill Country, according to Bob Petersen, chairman of the Images for Conservation Advisory Committee. "The other program is for landowners who are interested in learning about the income potential that nature photo tourism offers for their ranching operations," Petersen said. "The classes will be taught by some of the world's best professional wildlife photographers, plus private landowners and tourism experts," Petersen said. The symposium will be held at Texas Military Institute, the Episcopal School of Texas, in northwest San Antonio from 8:30 a.m. to 5 p.m. Admission is $75 and includes lunch. The Images for Conservation Fund (ICF) is partnering with the Texas Parks and Wildlife Department to hold a nature photography symposium for landowners and photographers, as well as the launch party for the inaugural Images for Conservation Pro-Tour of Nature Photography coming up in April. The daytime symposium and evening launch party will be held March 18 in northwest San Antonio. The Pro-Tour launch party is also an organizational event leading up to the inaugural Pro-Tour of Nature Photography. At the launch party, professional photographers from across North America will be paired into teams with Texas Hill Country landowners for the month-long tournament-style event April 1-30. It is the world's first all-professional nature photo competition, and the 20 teams will compete for a share of up to $200,000 in prize money. The launch party will be held at the historic Gallagher Headquarters, located 23 miles northwest of San Antonio. Admission is $50 and includes a light supper. Petersen noted the symposium and launch party mark the first public events associated with the inaugural Pro-Tour of Nature Photography. In January, representatives from the 20 Pro-Tour ranches heard suggestions from professional wildlife photographer Larry Ditto on working with their photographer teammates. Adobe and Macromedia continue to add more features to their Lightroom Workflow Suite, including support for the latest Intel-based Macintoshes, crop and straighten tools, the ability to add music to slideshows and more. Learn your Nikon DSLR, i-TTL and master your digital darkrom with Nikonian Pro Mike Hagen. 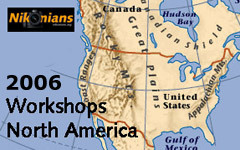 There are a few seats left for the Los Angeles sessions held March 2nd-4th. For more information and booking possibilities, visit our GreaterPhoto.com information portal. Nik Software, makers of the Sharpener Pro plug-in, has announced a collaborative deal with Nikon to jointly develop and sell digital photography software and related products. Both companies are building upon the previous relationship where Nik provided auxiliary software for Nikon's Capture RAW editor. The future products will be sold through Nikon's sales channels. Nikonians, the Worldwide Home for Nikon Photographers, are going to be on the PMA in Orlando, Florida, booth #1759 between February 26th - March 1st. Visit us there, talk to the founders, chat with the Image Doctors and get the chance to win one of several Markins professional ball heads. Nikonians Member Bob Johnson updates his latest Phototips column with a feature on B&W conversion in Nikon Capture. 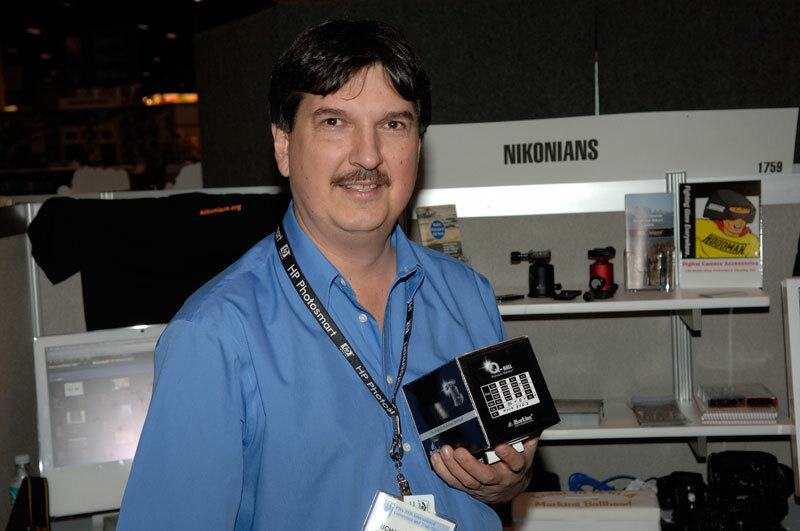 Nikonians Podcasts take you "behind the lens" with Nikon Legend Bob Krist. We recently sat down with Bob Krist to discuss his world travels as a freelance photographer. Nikonians Podcasts is proud to present the fourth podcast in our "Behind the Lens" series. In this podcast, our very own Jeff Bishop had a chance to spend some time with world-renowned travel photographer Bob Krist. Bob Krist has been to every continent on assigments for National Geographic Traveler, Islands, and Smithsonian. Bob was recognized by the Society of American Travel Writers as their "Travel Photographer of the Year". Nikon recently bestowed Bob the honor of being named a "Legend Behind the Lens". You can learn more about Bob Krist at his website: www.bobkrist.com. All Photographs Copyright Bob Krist, courtesy of the photographer. After a longer wait, the Nikonians Insurance Portal NikSecure.com is online. Here you find information about this exclusive group insurance provided to Silver, Gold and Platinum members of Nikonians. Nikonians is pleased to announce that Berger Bros. Camera has joined Nikonians as a Corporate Partner for 2006. Many Nikonians have already discovered the personal touch and customer service at Berger Bros., and have given them strong referrals in our Forums. Located in Amityville and Syosset, NY, Berger Bros. Camera has been a family owned business for 54 years. Current owner Brad Berger has run the stores since 1973, and he offers a personal touch to all orders. 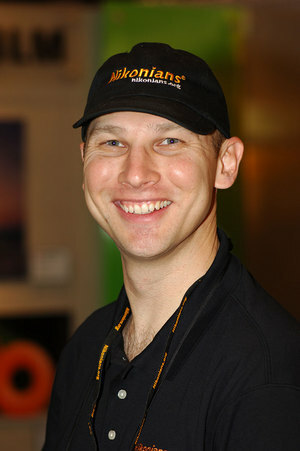 Many Nikonians have reported that Brad has personally telephoned them after hours or on weekends to ensure that they received their order and were pleased. Nikonians is happy to have Berger Bros. join our exclusive team of Corporate Partners. Look for the Berger Bros. button on the Nikonians Home Page. According to BusinessWeek, Fuji Photo Film (NASDAQ: FUJIY) of Japan, the countries largest film manufacturer have lowered their projected earnings by 77% to $170 million USD for their fiscal year ending in March 2006. As a result, they are to cut 5,000 jobs and are going to scale down their film production. NikonUSA has posted the official D200 Banding Technical Note, which includes an FAQ. The tech note states that this condition is limited to a number of early production camera bodies. For our members in the U.S., Adobe is hosting free Photoshop Elements seminars in a variety of cities over the next several months. Led by editors and contributors to Photoshop Elements Techniques, the official magazine for PSE, you'll learn ways to take control of your photos and get professional-looking results. As a bonus, there will also be free giveaways! For more information and to register, see the official site page. Listen to the Feb. 9th episode of "The Image Doctors", brought to you by Kingston Technology. The Image Doctors: February 9, 2006. -Update on the Nikkor 18-200 VR lens. Nikonians was mentioned on February 7th in Scott Kelby's Blog. 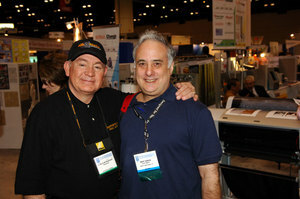 Scott is the well-known author of many Photoshop instructional books, as well as Editor of Photoshop Magazine and President of the National Association of Photoshop Professionals (NAPP). The Photoshop Camera Raw plug-in became the latest must-have tool for advance amateurs and professional digital photographers when it was released in February 2003. This powerful plug-in has been updated to support more cameras and includes more features. Available as part of Adobe Photoshop CS2, the news is that Adobe has now posted the final (non-beta) Camera RAW 3.3 plug-in with full official support for the Nikon D200. Nikon is enjoying a positive quarterly report, thanks to digital camera sales and chip-making equipment. A surprising aspect of the camera sales segment was the brisk movement of models like the Coolpix L1 and P1, contradicting the general downward profit trend of the compact digicam market. DxO Optics Pro image enhancement suite now supports the Nikon D200 and the 18-200 AF-S DX VR. Download the 3.5 version here. Every Nikonian visiting Nikonians booth #1759 at the PMA in Orlando, Florida February 26th - March 1st can participate in our raffle and win a professional Markins M10 Ball Head. In a ongoing effort to improve and refine the handling of RAW images in the Mac OS, Apple is interested in working with a broad range of sample images from professional photographers. If you have images that you feel exemplify particular aspects of RAW handling that require improvement, you can submit these to Apple for testing and evaluation purposes. Please be assured that any image content you send us will be used for internal testing purposes only. None of these images will be distributed to the public, used in any marketing capacity whatsoever, or included in public demos. They will be used exclusively to test and evaluate RAW image processing, with the goal of delivering improved RAW support for your camera in the future." 1. The original, unmodified RAW image. Please specify the camera model used to create the image. 4. Any notes or commentary you wish to provide regarding whatever weaknesses or strengths you see in the decode provided by Apple's software. When possible, point to specific areas in each image that you would like us to examine. Also include information about the camera, computer, and software used to create the image. After posting your files to the server, please send an email to aperturefeedback@group.apple.com to notify us that the files are available. Thanks for working with Apple. With ongoing feedback from the pro photo community, we look forward to continually improving the quality of our image handling in the future. Luminous Landscape has a new article for those interested in purchasing an IR-enabled digital camera or having one converted. Many of our members may not know that Nikon has a fairly extensive Knowledge Database where items such as updates and extensive operating details can be found on all of their products, both analog and digital. In addition, Nikon has a very effective custom query where you can submit questions to their technical support teams. The turnaround is very quick. Each regional Nikon Center hosts their own knowledgebase so make certain to register at the closest one to you and start surfing the wealth of information available! US members can click here. Is the "Megapixel Race" Over? In an article in today's New York Times (free registration required), technology writer David Pogue discusses the imminent end to the "megapixel race" in point and shoot digital cameras, and also the recent announcements from Konica-Minolta, Nikon, and others to exit the film business. To quote Pogue:"After 10 years of hearing how they need more, more, more megapixels, are consumers really expected to believe that eight megapixels will be the end of the line?" This month's NikonNet: Legends Behind The Lens honors veteran photographer David Alan Harvey for his documentary and travel work. A physically imposing man, Harvey has achieved the epitomy of the discreet street photographer despite his appearances, and has been known for carrying a two-body Leica M6 setup with a set of primes in the past. David now favors a D70 with a 20mm/2.8 lens. Rob Galbraith has a Q&A session with Zeiss regarding the new ZF mount lenses. The conversation confirms they are not "chipped" and the two remaining "mystery" lenses (currently thought to be a wide-angle Distagon and a Makro-Planar) will be revealed at Photokina 2006 in September. While the news today is all abuzz about Pentax's *ist DL kit being below USD600, our members need not fret. Nikon has a similar offering - CNET reports The Deal of the Day is a D50 with a 28-80mm lens for USD599.99. The February 1st edition of Newsline International has a blurb on Nikon's continuing stance of "no full-frame" sensors. Nikon Chairman Makoto Kimura is quoted as saying ""35mm is a film format, which I do not think is necessary in the digital era." French software vendor DxO Labs, a developer of image processing technologies and applications, announced the closing of a 10.6 million Euro (12.83 million USD) round of funding. Apax Partners France leads the new investment, joining investors Societe Generale Asset Management, SPEF Venture, Thales Ventures/ACE Management, CSK Venture Capital and Hitachi Venture. The Nikon User Community Nikonians has a new look. The new navigation of Nikonians should make it easier for newcomers to find their way around the numerous resources in the photography community. The adaption to the new look will be phased-in and the complete facelift should be finished end of the month.